Happy Valentine's Day! It's the perfect day to think about the people and things that you love and, of course, let them know it! So Dex and I are sending a valentine to the earth. Ahem, Dex. That's your cue. I love growing food in my shoe. Cutting down trees is really mean. Do you love the earth? 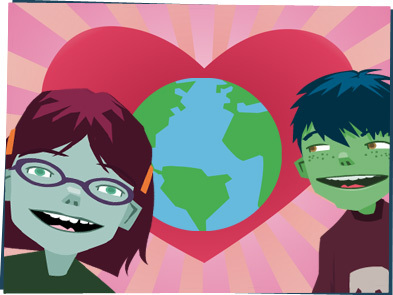 Send us your valentine to the planet! And check out the valentine we made for you!